When you receive a diagnosis of cancer your world is shaken. We understand. We fight cancer every day in our nationally-recognized and accredited cancer centers with technology and experience - but also with compassion. From the day you learn you have cancer, you are a survivor. A entire team of experts create a treatment plan just for you. Although there are more than a million and a half new cases of cancer diagnosed every year, your cancer and how we treat you, is unique. Surgical experts, radiation oncologists and medical oncologists join with specialists in nutrition and therapy to examine your diagnosis and recommend treatment options. Based on these options and your preference, your cancer-fighting multidisciplinary team creates a plan specifically for you and your cancer. Some of the most innovative and advanced technology is here at Methodist providing more options for your treatment. Minimally-invasive surgery using da Vinci Robotic Computer-Assisted Surgery leaves smaller incisions with faster recovery and shorter hospital stays. Methodist Hospital is also the only hospital in the area with the Gamma Knife ultra-precise radiation to destroy tumors or lesions of the brain. Clinical trials offer unique opportunities for you to access new drugs, new approaches to treatment and new combinations of treatments. Nationally, 3 - 5% of patients are accepted into clinical trials. An astounding 14% of screened Methodist cancer patients participated in national and international clinical trials. When you are diagnosed with cancer, quality of life can be as important as medical treatment for you and your family. You are not alone. 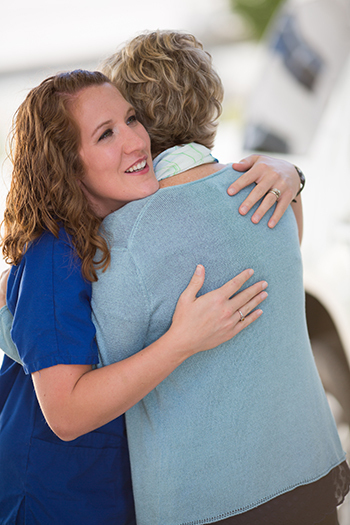 Our cancer centers provide support programs to surround you and your family with hope and help throughout your diagnosis, treatment, recovery and beyond. We support you and your family with education, support groups, financial counseling, nutrition and the management of the physical effects of cancer. If you or a loved one are touched by cancer, you want to be sure treatment is the best available. 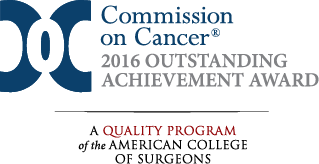 Methodist Estabrook Cancer Center has been recognized and awarded as one of the best programs nationally. Methodist Jennie Edmundson Cancer Center stands out as the only accredited program in southwest Iowa.